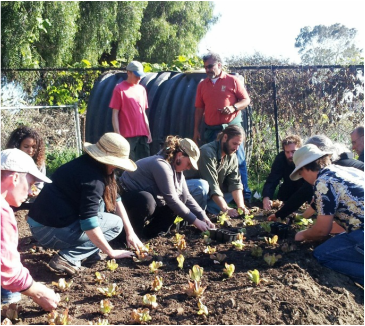 Mesa Harmony Garden was formed in 2010 to turn an unused plot of land in the City of Santa Barbara, California, into a productive food forest, growing fresh local produce for the Food Bank. By engaging community volunteers to serve residents in need, we have also created a living educational resource. This is a practical demonstration of Permaculture and Organic principles applied to urban food production. Growing more sustainable local food enhances food security, and helps build self-reliance and a resilient local community. All the food produced is shared in the community, mostly by donation to local organizations to feed those in need. Everyone is welcome in this community project. Our aim is to grow and share as much nutritious food as we can through a low-maintenance system using as few resources as possible....water, people and money. This garden is a template for anyone to learn from our experience of turning an underutilized landscape into a productive foodscape. Volunteers take part in our regular work-parties, helping us plant and maintain the garden, and receiving practical instruction and invaluable experience as well as the chance to make a contribution. Fostering community-building and spreading knowledge about sustainable approaches to urban food production are both central to Mesa Harmony Garden’s vision. 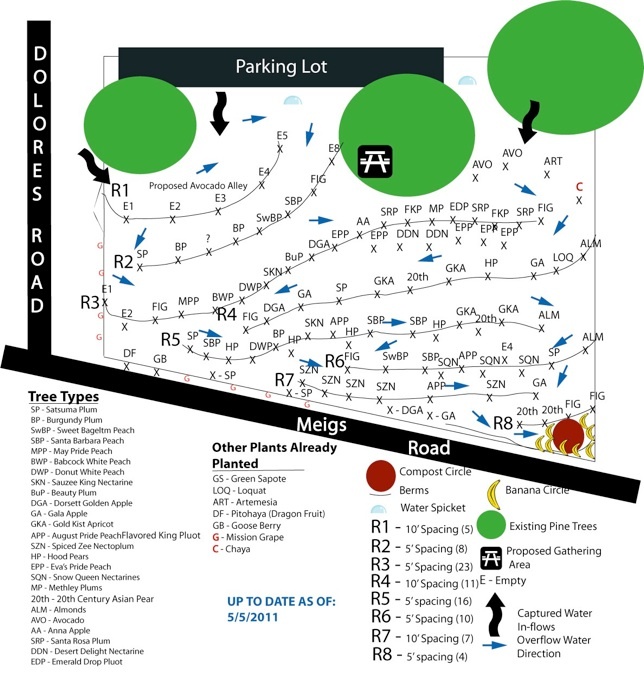 Designed as a collaboration of service-oriented organizations, educational institutions and members of the local community, the Mesa Harmony Garden took a once desolate and unused piece of land and converted it to a food forest for the sole purpose of donating the produce to local institutions who provide food to those in need. 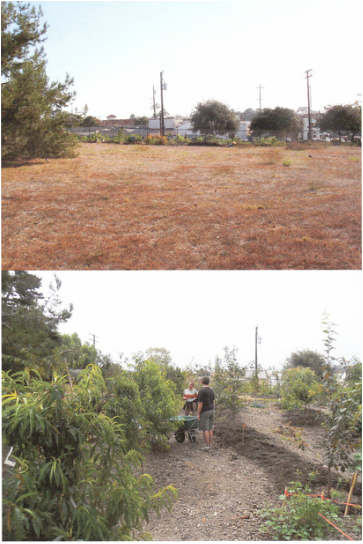 This is a volunteer-led community garden in the Mesa neighborhood of Santa Barbara. Along with many local residents, volunteers include students from Santa Barbara City College, and from volunteer groups including Americorps and and the Orfalea REACH program. Volunteers enjoy the opportunity to learn practical skills while also serving their community. As well as serving the practical purpose of putting previously vacant land into productive use for our community, with all the food we produce available for donation to local organizations serving people in need, the garden is also a demonstration site with a mission to share knowledge and experience about the sustainable production of food in an urban setting. We rely on donations from local community members and organizations to meet the costs of planting, watering and maintenance.